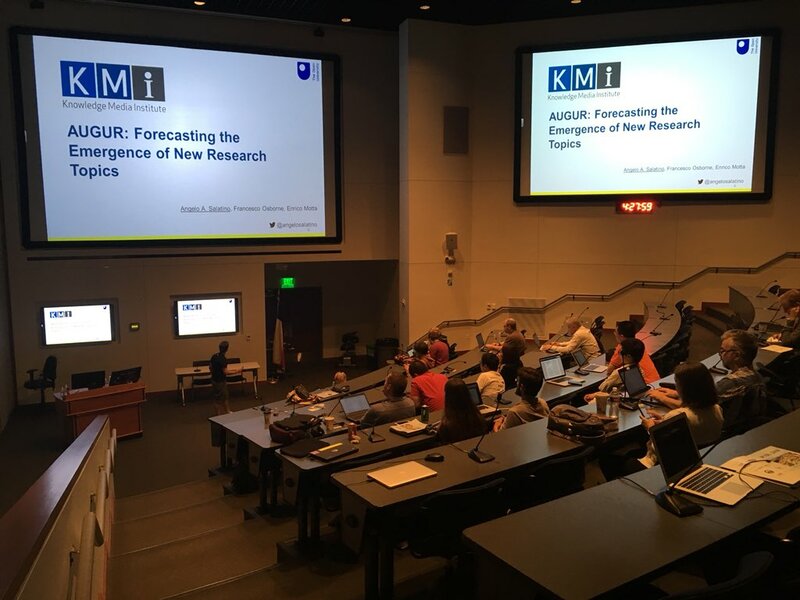 The SKM3 team, the KMi research group on scholarly analytics, will present three full papers at the 2018 International Semantic Web Conference (ISWC), the premiere international venue for the Semantic Web and Linked Data communities, which will be held in October in Monterey, California. 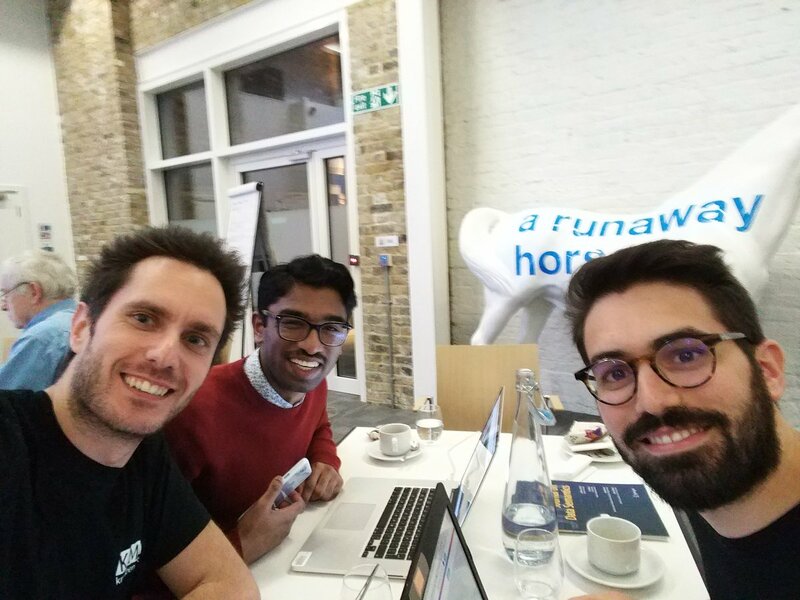 The SKM3 team succeeded in having a paper accepted in each of the main tracks of the conference: Research Track, Resources Track, and In-Use Track. The paper in the highly selective Research Track is entitled Pragmatic Ontology Evolution (POE) and presents an innovative approach to producing evolved versions of scholarly ontologies that is able to consider pragmatic business requirements within a formal ontology evolution framework. POE was applied to a real-world test case provided by our commercial partner, the Springer Nature taxonomy for editorial classification, yielding excellent results. 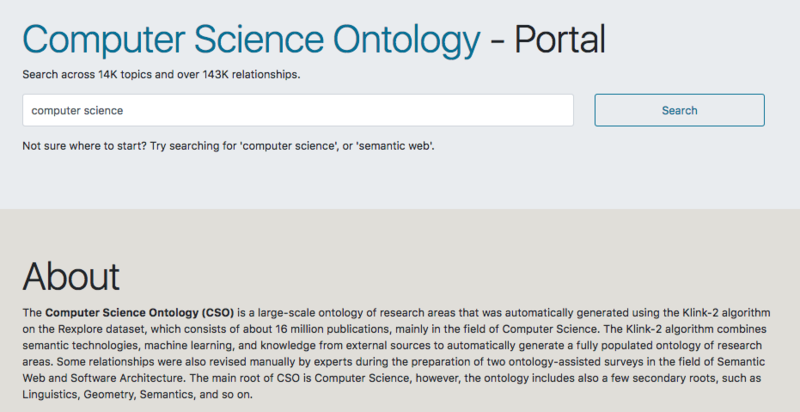 The paper in the Resources Track introduces the Computer Science Ontology (CSO), a large- scale, automatically generated ontology of research areas, which includes about 25K concepts. CSO powers several tools adopted by the editorial team at Springer Nature and has been used to support a variety of applications for classifying research publications, modelling the evolution of research communities, and predicting research trends. The SKM3 team recently developed the CSO Portal, a web application that enables users to download, explore, and provide granular feedback on CSO. Finally, we will present at the In-Use Track a paper describing the Smart Book Recommender (SBR), an ontology-based recommender system developed in collaboration with Springer Nature, which supports their Computer Science editorial team in selecting the products to market at specific venues. SBR recommends books, journals, and conference proceedings relevant to a conference by taking advantage of a semantically enhanced representation of about 27K editorial products. ISWC is a very selective conference and it is rather rare for a single research group to cover all three main tracks, hence we are extremely pleased with the result, which evidences the quality and impact of our work. Osborne, F. and Motta, E. (2018) Pragmatic Ontology Evolution: Reconciling User Requirements and Application Performance, International Semantic Web Conference 2018, Monterey, CA (USA). 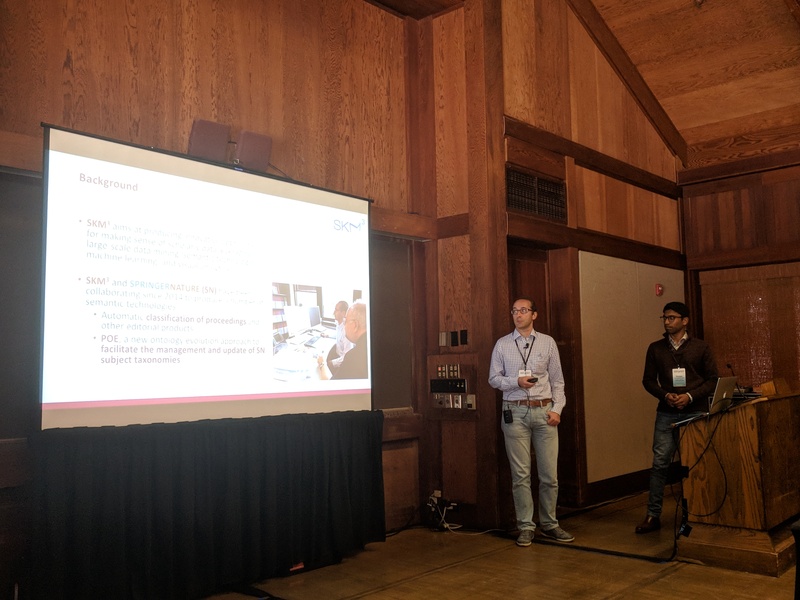 Salatino, A.A., Thanapalasingam, T., Mannocci, A., Osborne, F. and Motta, E. (2018) The Computer Science Ontology: A Large-Scale Taxonomy of Research Areas, International Semantic Web Conference 2018, Monterey, CA (USA). Thanapalasingam, T., Osborne, F. and Motta, E. (2018) Ontology-Based Recommendation of Editorial Products, International Semantic Web Conference 2018, Monterey, CA (USA).